20 year old Nick White earned a place in the top 10 the hard way at the end of a grueling edition of Australia’s famous one-day classic: Grafton to Inverell. A strong headwind made the 58th edition of the 224km event one of the toughest in recent history. With Nathan Elliott (Bennelong-SwissWellness Cycling Team) taking line honors in 6:44:16, nearly 1 hour slower than the 2017 race winning time. White was part of an 18 rider breakaway early in the race, that escaped the peloton after 30kms of racing. The leaders built an advantage of nearly 7 minutes by the time they hit the major climb of the day up the Gibraltar Range. 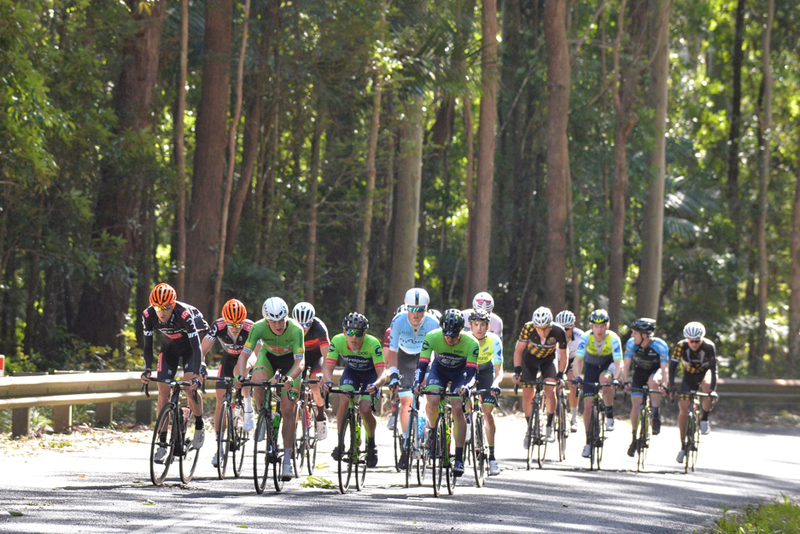 A selection of around 20 riders managed to then bridge the gap to the breakaway and made contact at the 100km mark which included Whites teammates Ben Andrews and Rowan Dever. A small breakaway of 4 riders managed to then slip off the front of the lead group. This breakaway included eventual winner Elliot and Raphael Freienstein (Inform-MAKE). The duo managed to hold off the chase in the final part of the race, making it to the line with only 4 seconds gap over the group. White managed to feature in the sprint to finish 7th overall, and second best under 21 rider.